In the tipi del fuego people gather receiving the blessings from the shaman. 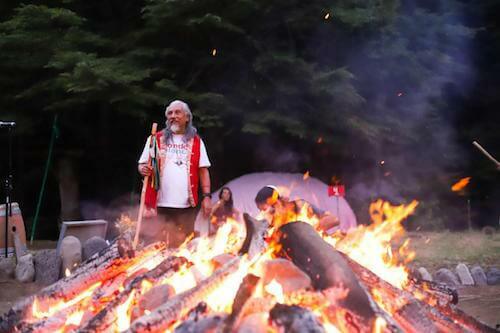 Some shamanic traditions include firewalks as a form of transcendence. Fire ceremonies will clear fears and resistances of the ego. Some shamans heal people by creating a circle of fire around the person to clear attachments and burn tides of karmic cycles. The temazcal ceremony, for example, integrates all the elements like most of the rituals. It is a ceremony of purification where people are gathered around a fire in the inipi (a native american tent for ceremonies). When the stones in the fire are hot, the guardians of the fire will bring some in the center of the inipi. 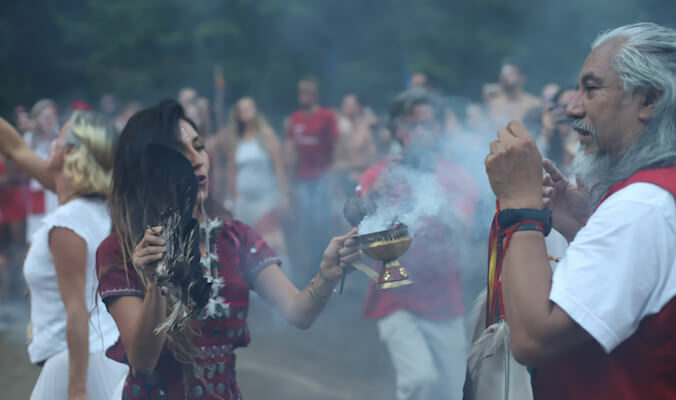 Shamans lead the ritual inviting all the people to gather, chant, sweat and speak their prayers at the rhythm of the drums. Some Shamans heal with the breath. Shamans inhale the bad omen of the participant and then transform it in their own energetic space. The transformation happens through breath and chants. Some rite of passages, like the vision quest, has the purpose to nurture us through the prana in the air. While being in connection with all the elements, there is no food, no water, no people around us for a few days. There is only the air we breathe and that surrounds us. Thus nurturing our whole being and giving us a chance to clarify mind body and spirit. We open our vision, connecting with a other dimensions of consciousness such as the animal totem, the elementals, language of nature in very subtle ways. Through prayers and ceremonies shamans use sacred geometry and universal laws. Shamans create medicine wheels, altars for prayers based on the crosses of the andes, mandalas and other wisdom of their own lineage. In the ether element, healing happens in spiritual dimension. In space and spirit we connect within, above, below, all around. The medicine wheels and altars are based on principles of alignment of all the elements – Earth, Water, Fire, Air, Ether – into symbols for healing and transcendence. They integrate the symbols of animal totems, elementals and minerals on many shamanic paths. This is to honor the transitions of the seasons or the transitions of life cycles for the women and men of the tribes. They have specific dances, rhythms and chants to balance the frequency and to create a clear intention. Those ceremonies affect directly the quantum field and energies. It is a way to connect with the mass consciousness and to experience the law of attraction. Nowadays modern universities as well as sciences recognize how medicinal plants, nature and meditation can support healing in a profound way. 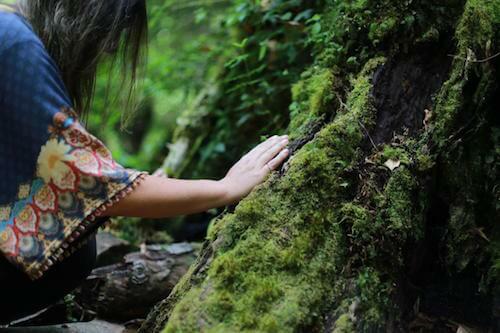 The resonance foundation offers encounters as shamans have done for centuries. They are sharing their researches, linking science and spirituality, in a more rational scientific language that is accessible to the people. 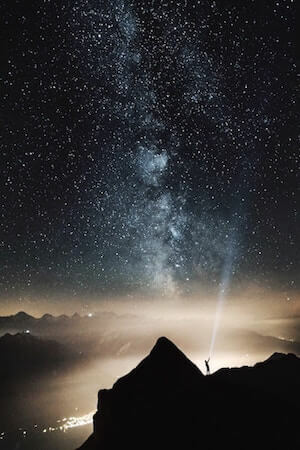 Ancestral wisdom, spirituality and science are finding interesting points of connection. I am thankful for all the great shamans, healers and masters from whom I could learn: Suryavan Solar, Aramsati, Aurelio Tekpankalli, Jan van der Stappen, Carmen Vicente, and many others. Life is not linear, it is a multidimensional experience. May your journey be peaceful and liberating.